This week amongst the two Bollywood releases (Daddy & Poster Boys) we also saw the release of It – a Hollywood horror flick. Directed by Andy Muschietti this flick has been creating history at the worldwide box office. The movie opened with good reviews whereas word of mouth for the film was average comparing to the critic reviews. A horror flick with top notch story and writing is a rare for any cinema. Hollywood last’s flick Annabelle: Creation did good business at the box office. It opened on a lower note at the box office and clocked an average weekend of 7.52 crores. The number is decent because the film did not had a pre-buzz like Annabelle: Creation. The movie, surprisingly, remained stable on lower levels on weekdays. It collected 1.27 crores on its 1st Monday. This was good as other it’s better than the 2 Bollywood movies released this week. The movie again grossed better on Tuesday collecting 1.28 crores. It now stands at the total of 10.07 crores which is, again, better than Daddy and Poster Boys. It tells the story of seven young outcasts growing up in the township of Derry, Maine, who call themselves the Losers’ club. Each of them has been ostracised for one reason or another; each has a target on their back from the local pack of bullies and all have seen their inner fears come to life in the form of an ancient shape shifting predator called It. 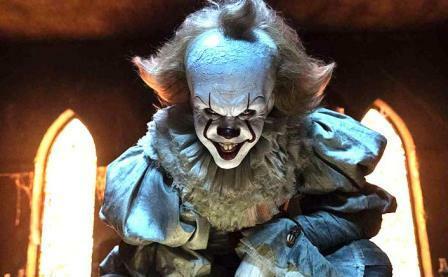 The film stars Bill Skarsgard as the story’s central villain Pennywise. An ensemble of young actors also star in the film, including Jaeden Lieberher, Jeremy Ray Taylor, Sophia Lillis, Finn Wolfhard, Wyatt Oleff, Chosen Jacobs and Jackson Robert Scott.